The European Union’s highest court has ruled that Google Inc. does not infringe company trademark rights when it sells advertising through its Google AdWords service. The ruling, which came down early Tuesday, was in response to LVMH Moet Hennessy Louis Vuitton SA’s claim that Google shouldn’t be allowed to sell advertisements on search pages that result from a user inputting a company’s name into a query. LVMH claimed that Google, along with the advertiser, was liable for trademark infringement. The European Court of Justice said that Google is merely a provider of advertisements, not a company infringing trademark rights. The court ruled that only advertisers are liable for infringing a trademark, and not the company providing a place for ads. The main issue some companies have with Google’s AdWords platform is that competitors can advertise their own products whenever the respective company’s name is input into Google Search. LVMH argued that it alone should be able to control ads related to its brand. For its part, Google said it’s happy with the court’s ruling. It believes that giving users a choice is important in the Web advertising space. But Google didn’t necessarily escape unscathed. The court also ruled that if a trademark owner believes that its name is being used illegally, Google needs to remove the infringing ads from its service. If it doesn’t, it could be held liable for trademark infringement. For its part, LVMH said it too was happy with the result. From a revenue perspective, the ruling is a major victory for Google. If the court ruled against it, the company could have lost a significant revenue stream because of limits that would have been placed on advertisers. But Google is not yet out of the woods. The ruling is the first in a long line of cases the company is facing around the world over the role that search keywords play in trademark rights. 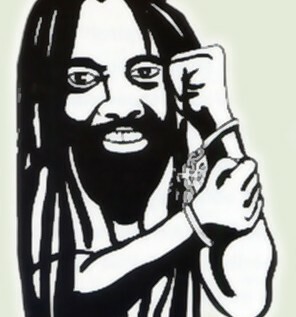 Mumia Abu Jamal – Who’s King? Great information, appreciate the time you put in to make this blog. Gucci has always been one of my favorite designers they have such style and class. Thank you for writing this information. I found your site while searching Altavista today. Your article about sounded interesting so I stopped by. Thanks for sharing. Thanks for letting me post, your blog is great, will definitely be back!!!! Excellent information, top notch job, thanks for all the work.